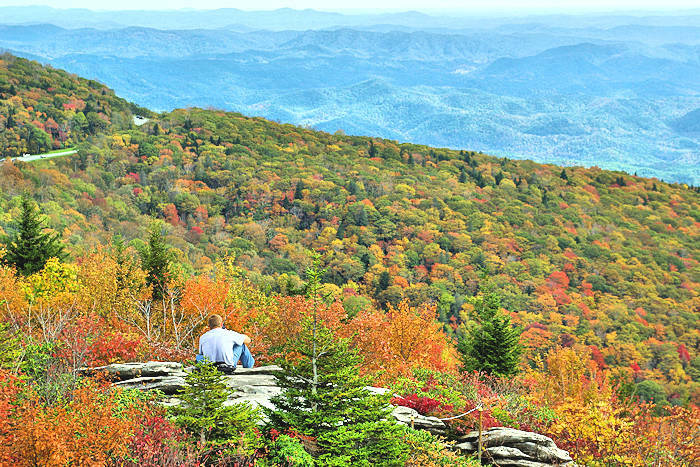 In addition to fall color, you'll find many extra events and things to do at Biltmore in September and October. Explore the estate that is heavily forested with some of the region’s oldest and most beautiful trees. 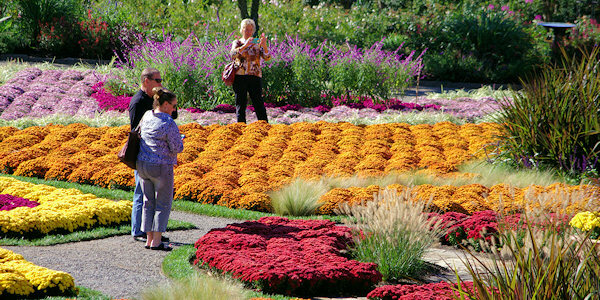 Fall garden plantings include thousands of colorful mums. In 2018, see the spectacular Chihuly glass sculptures through October 7. 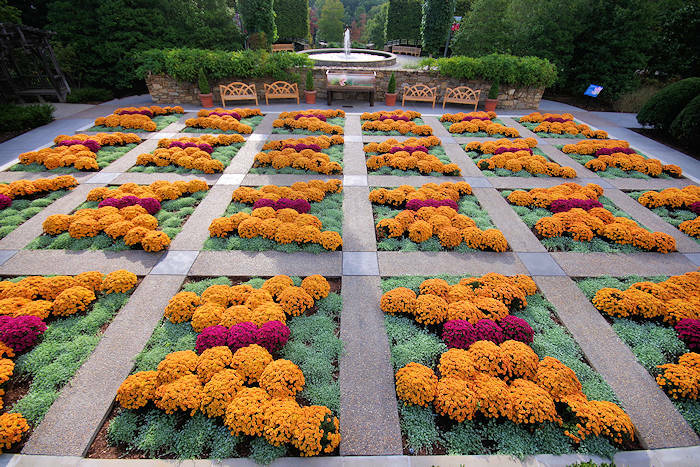 The gardens herald the season with thousands of vibrant chrysanthemums in rich jewel tones. 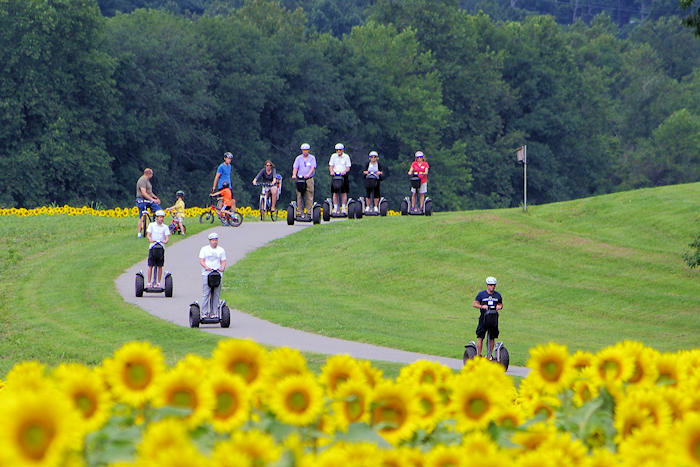 Guided outdoor experiences include horseback riding, Segway tours, sporting clays, fly fishing, the Land Rover Driving Experience and river float trips. Find many extra food and wine events. At the Winery, sample 20 wines (included in admission). The Vine to Wine 2.5-hour tour takes you to areas on the estate not normally seen by guests, including a trip to the vineyards, tastings and a walking production tour. Saturdays and Sundays. Read more about the Vine to Wine Tour. On Friday and Saturday evenings in September and October starting at 5 PM., enjoy Live After Five in Antler Hill Village with live music on the Village Bandstand. Tour the farm, complete with friendly resident goats, chickens, horses, sheep and other small animals. Save $10 on daytime admission if tickets are purchased online seven days or more prior. 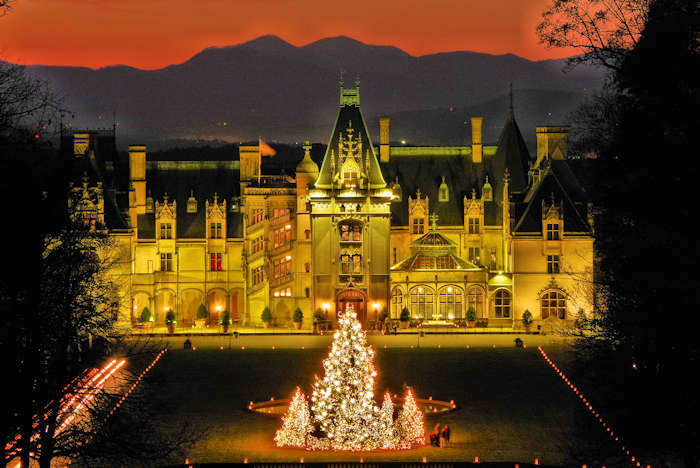 Go to the Biltmore Estate Web site to buy advance discount tickets. A unique way to enjoy the fall color is driving the backroads of Biltmore Estate with the Land Rover Experience Driving School. In addition to having a really fun time behind the wheel, your guide will teach some great off-road skills to take home. Read more about Land Rover Experience. 1. The Rooftop of Biltmore House: The Architect’s Tour provides you with a bird’s eye view after a climb up the Observatory’s spiral staircase and onto the balconies and rooftop. 2. Top of the Rampe Douce: This wide, graduated stairway across the wide front yard from Biltmore House allows for fitting the entire front of the house inside your viewfinder. 3. Statue of Diana: Our favorite photo spot is beyond the Rampe Douce and up the hill at the statue of Diana. 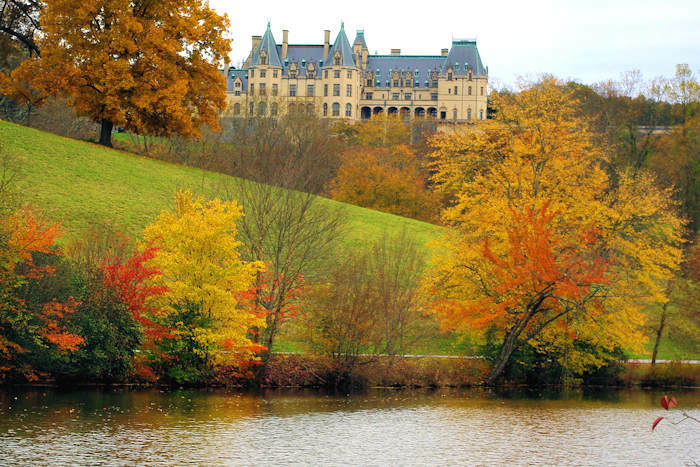 Capture a majestic view of Biltmore House with sky and mountains in the background (see pic below). 4. The South Terrace Tea House: The wide open terrace gives you long-range views of the Blue Ridge Mountains. At its edge perches a limestone teahouse with panoramic views of the deerpark, Lagoon and Mount Pisgah. 5. The Loggia: Located on the back of Biltmore House, it is accessible on the ground floor right off of the Music Room. This open-air porch overlooks the deerpark with views of the carriage ride trail across the fields. 6. 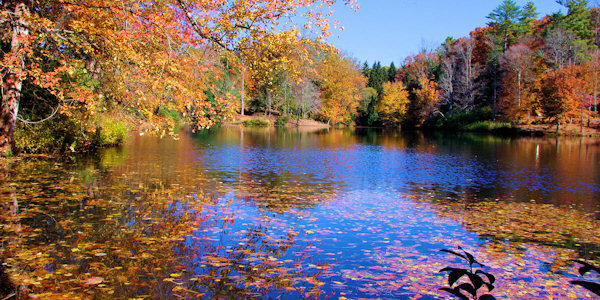 The Lagoon: The photo at the top of the page was taken by the Lagoon along the main road through Biltmore. Most folks drive right by the one-lane road and bridge that takes you to a very idyllic spot. 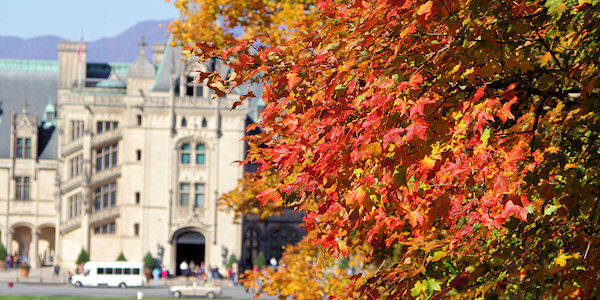 See our complete Biltmore Insider's Guide and Fall Color Guide for more info to plan your visit. Looking ahead: Watch the Christmas Tree Arrival & Raising at Biltmore in early November (read more).